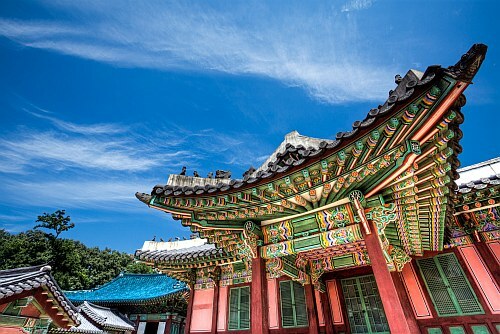 On Thursday, August 17th, Air China is going to be having yet another flash sale to Asia, this time from Montreal to Seoul, South Korea or Singapore for $499 CAD roundtrip including taxes. Air China's flights have a stopover in Beijing, China - sometimes they are long stopovers (overnight). 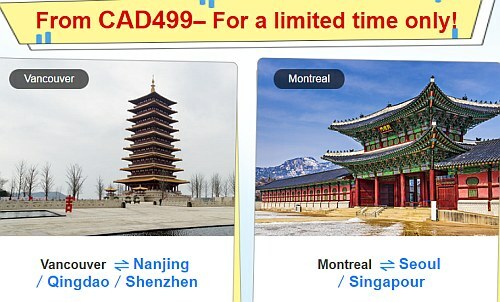 Air China's flash sales can sometimes be disappointing, especially from Montreal. Sometimes they don't put many dates on sale. From past experience, Air China's defined travel periods for their flash sales can be misleading. Sometimes they have $499 flights available within the date ranges they mention. Sometimes they don't. You really need to just try different dates and see. NOTE: Air China usually releases theses fares around 3 AM EST. In other words, you would need to stay up really late on Thursday August 17th (or get up really early the morning of Friday August 18th, depending on how you want to think of it). TIP: The last time there was a similar sale, some people had trouble using their credit card with the default payment option on Air China's website. montreal, yul, flight deals, asia, east asia, southeast asia, air china, singapore, seoul, south korea, gmp and sin. 8 Responses to "Montreal to Seoul, South Korea or Singapore - $499 CAD roundtrip including taxes"
"Blackout dates: October 5-15, 2017 (outbound flight); September 22 to October 3, 2017 (inbound flight)"
So this means you cannot book an inbound flight between Sep 22 and Oct 3 and not that those dates are the only ones that you can book. Ah, that does make sense, thanks Mark, I will update it. Plenty of options available to Singapore, but very little (if any) to Seoul. Too bad. None during the Olympics, sadly! Thanks for sharing what you found! They were definitely stingy on the Seoul dates again.